Manchester City vs Bayern Munich: The September final? Wednesday's Champions League group clash could be repeated in Lisbon next year. 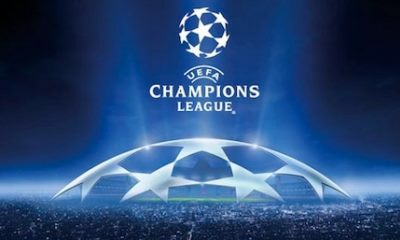 City host current Champions League holders Bayern Munich at the Etihad Stadium on Wednesday in what will be seen as the early group decider. But, with Bayern looking to become the first side to win back-to-back Champions League titles since AC Milan in 1990 and City hoping to put their previous two nightmare CL campaigns behind them, this fixture could be repeated at the Estadio da Luz in the the final on May 24. Both sides have begun their European campaign in impressive style. 3-0 wins for City and Bayern against Viktoria Plzen and CSKA Moscow respectively means it is all even at the top of group D ahead of Wednesday’s clash. Under the guidance of former Champions League-winning manager Pep Guardiola this season, Bayern have a real chance of retaining their crown and becoming the first side to do so for 23 years. The club have kept hold of all their stars during the summer and have been able to strengthen an already highly-talented squad. The arrival of midfield dynamos Mario Gotze from last season’s CL runners-up Borussia Dortmund and Thiago Alcantara from Barcelona have added extra depth to Bayern's squad which will enable them to rotate their side during the season without having to lose quality in the team. This will mean they should have fresh legs in all competitions and could go a long way to prove that they are capable of winning every competition they feature in this season. City fans may be thinking that the CL final is a long way away for them if their record in the competition counts for anything. The Citizens made their debut two years ago and failed to qualify from the group stages after losing out to Napoli and Bayern. Last season many predicted City to find their feet in the competition having put their debut nerves to the back of their minds. But under the guidance of Roberto Mancini, however, the club was unable to prove their European worth and were once again knocked out at the first hurdle - finishing bottom of the group behind Borussia Dortmund, Real Madrid and Ajax. Manuel Pellegrini, who managed Malaga in the competition last season, has taken over the City helm and will not except a group stage exit after spending over £100m in the summer. Due to City’s dramatic rise from bottom-half Premier League side to title winners they are not helped by UEFA’s current ranking system. Having not had much European competition over the last 20 years the club have found themselves in pot three of four this season meaning they will always face an uphill battle to qualify from the group stages. They will have to do very well in the competition over the next few seasons for their UEFA ranking to improve and this unfortunate scenario to change. But the reality that Wednesday’s fixture could be an early preview of this season’s final is a real one. So watch it carefully and see how the man-to-man battles play out as both side look to keep their winning Champions League record going. Chelsea playmaker Eden Hazard has been left out of the Blues' Champions League squad for Tuesday's match against Steaua Bucharest after picking up an injury, according to the Mail. The Belgium international was substituted with 20 minutes remaining during Saturday's 1-1 draw with Tottenham, but is not fit enough to travel with the Blues' squad to Romania this week. The news comes as a blow to Chelsea boss Jose Mourinho, whose side were beaten by Basel in their Champions League group stage opener earlier this month. The 2012 European champions will face an uphill struggle to qualify for the knockout rounds if they suffer another defeat in Bucharest, prompting Mourinho to comment: "Tuesday is a game we cannot lose. Even a draw is not a good result for us." The Portuguese coach may opt to replace Hazard with summer signing Willian, who will be keen to make amends after his disappointing performance against Basel. Borussia Dortmund will be looking for revenge against Marseille on Tuesday as they aim to kick-start their UEFA Champions League campaign. The Germans remain unbeaten in the Bundesliga this season, however, they will be wary of a Marseille side that won both meetings between the two sides in the 2011-12 edition. 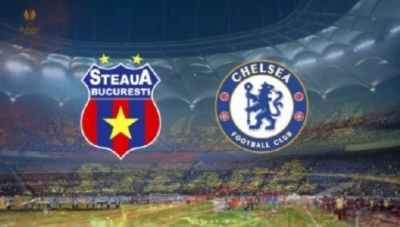 Steaua Bucharest and Chelsea will hope to get their first points on the board when they meet in the UEFA Champions League on Tuesday. Both teams suffered defeat in their first group games of the 2013-14 edition of the tournament, and will be looking to bounce back immediately by earning a win at Stadionul Steaua. The hosts' found themselves on the wrong end of a 3-0 drubbing from Schalke on matchday one, with Atsuto Uchida, Kevin-Prince Boateng and Julian Draxler notching for the German club. Liverpool manager Brendan Rodgers is excited by the return of Luis Suarez after suspension. The Reds boss believes the team will benefit from having a “£50-£60million” striker back in the side and the timing is perfect as they face arch rivals Manchester United in the Capital One Cup at Old Trafford. In Suarez’s absence the Merseysiders have won seven, drawn two and lost just once – last Saturday against Southampton – as Daniel Sturridge took up the goalscoring mantle netting 11 in nine matches. Suarez had an even better record up to his 10-match ban, imposed for biting Chelsea’s Branislav Ivanovic in April, with 17 goals in his last 21 Liverpool games. The prospect of the two spearheading Liverpool’s attack is an intriguing one as Liverpool look to bounce back from dropping five points in their last two league matches. “Now he comes back we are getting a £50-60million striker back in the team and that is exciting for us,” Rodgers told talkSPORT. Liverpool, of course, turned down a now infamous £40,000,001 bid from Arsenal in the summer as the Uruguay international tried to manufacture a move away by claiming his manager and the club reneged on a deal to allow him to move to a Champions League side. Rodgers insists that is now firmly in the past but he accepts Suarez may have some convincing to do in the eyes of some fans who felt he betrayed the club with his comments in the close season. “All you can do now is judge him by his performances on the field. 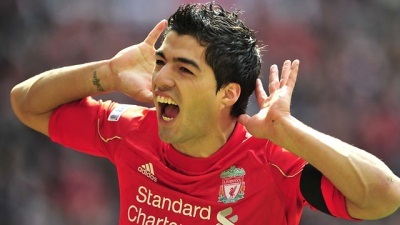 The measure for Luis now is on the field,” he added. “His way to say sorry or make any contribution back to the supporters is to play with his heart 100 per cent and score goals and make this team successful and I am confident that will happen. Rodgers is confident his players will bounce back quickly from their poor performance at Anfield which resulted in surprise defeat – their first since March – to Saints. “There’s no doubt after Southampton at the weekend, we haven’t felt like that for a long time. It was hard to swallow,” he added. “We didn’t perform and it’s as simple as that. We were nowhere near our level. “That’s going to be the season – sometimes it’s going to be up and down. All we can ever do is work hard and keep believing. “We’re back focused, working hard and knowing this is a season where we’ll have those ups and downs. Boss braced for more pain as he claims last season's title stroll flattered Red Devils. David Moyes has admitted he may have to suffer "many more blows" this season as he takes control of a Manchester United squad he believes are two elite players short and less imperious than last season's run-away title suggested. In a brutally honest assessment of the squad that was torn apart by Manchester City at the weekend, Moyes said that the form of other sides in the Premier League race, which United won by 11 points in May, had contributed to the mistaken impression that the job he took on was ready-made for him. The fact he felt forced to play Michael Carrick in midfield at the Etihad on Sunday, despite the player suffering flu, provides an insight into the strictures he feels he has. Moyes said ahead of another forbidding clash, against Liverpool in tonight's League Cup third round, that "a lot of people" thought the title race was only about Manchester United last season. But "it was probably the (form) of other teams that were poor," he said. He does not feel he is short of squad players but he does feel the need to secure "two or three" players who can go straight into his starting XI, during the first transfer market he will have a genuine run at, in January. United are ready to go back for Athletic Bilbao's Ander Herrera. Moyes refused to discuss yesterday's claims from Real Madrid president Florentino Perez that United had also been in the hunt for Gareth Bale, as was reported last month. 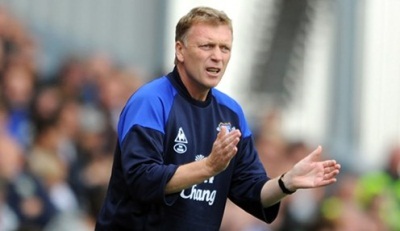 "I don't think it's actually the squad," Moyes said. "I think we've got numbers. I think maybe where we've got work to do is bring players in ... to go right into the team – so that's the slightly different equation. We needed one or two who might have just gone in (to the team). But that will happen. "Going back to that (summer) transfer window, we always said it was going to be a tough one and it was going to take a little bit more time." Moyes clearly feels he is short of players, the fact that he preferred an ill Carrick to Tom Cleverley and Anderson says most about the latter two, while Shinji Kagawa and Luis Nani – who might get an opportunity at Old Trafford tonight – are seemingly individuals in whom he does not have faith. It means there may be more punishment to follow Sunday's 4-1 defeat to City, he said. "Yes, it does mean I may have to take a few more blows, definitely. Maybe even more than that. Maybe all season I have to take a few blows. But I knew this was going to be the case because I was taking over from a great manager and it was always going to take time for me to get my own ways and change things round a little bit. It doesn't mean big jobs but there are some things ... so we have to make sure we are right and get ready for the next game." Defender Ben Davies says Swansea will not be overawed when they step onto the Mestalla Stadium to face Valencia on Thursday.Swansea face the Spanish club in Group A of the Europa League. Borussia Dortmund sporting director Michael Zorc has bemoaned a lack of cutting edge in the forward third in their 2-1 loss to Napoli. Olivier Giroud has a knee injury and could miss Arsenal's Uefa Champions League Group F opener against Olympique de Marseille on Wednesday. The Frenchman scored the opening goal in a 3-1 win at Sunderland on Saturday to take his tally to five in six appearances for the north Londoners so far this season, but manager Arsene Wenger revealed his countryman is an injury worry for the Stade Velodrome date. The Emirates boss added new £42.5million signing Mesut Ozil is also carrying a few knocks from the Stadium of Light victory. 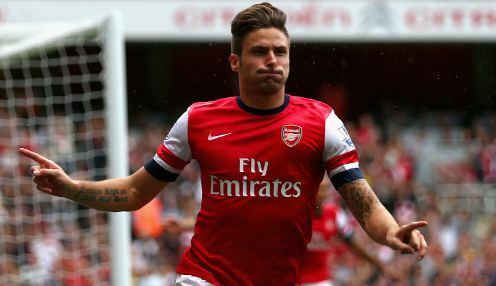 "We have a few problems, some with Ozil but the main one is Giroud, who has a knee problem," he said. "He will have a test tomorrow and hopefully he will be fit but it will only be decided tomorrow. "Ozil was ill and has some tight muscles after Saturday but I think he will be OK and we are optimistic." The news means England winger Theo Walcott could be asked to play a more advanced role against the Ligue 1 side, given that Lukas Podolski is also out injured and young forward Yaya Sanogo lacks the experience. Arsenal beat the same opposition to first place in the group stages two seasons ago and are unbeaten in nine visits to France - a record which includes six wins and three draws. Pep Guardiola says he is relishing the task of trying to help Bayern Munich become the first side to successfully defend the Uefa Champions League title. The Bavarians begin the defence of their European crown with the visit of CSKA Moscow to the Allianz Arena in Group D on Tuesday. AC Milan joined an elite band of only eight teams, including Bayern, to win back-to-back trophies in 1989 and 1990 when the competition was in its former guise of the European Cup. In 23 years no team has retained the Champions League trophy but new coach Guardiola, a two-time competition winner with Barcelona, says he is looking forward to the challenge. He said: "I like the Champions League - it is a very important competition, but also very difficult. So many teams are in contention to win it this year. I am proud to undertake this challenge with my new team." Last season Bayern swept all before them when winning the Treble under the stewardship of Jupp Heynckes and Guardiola is convinced the current squad has the desire to challenge again. 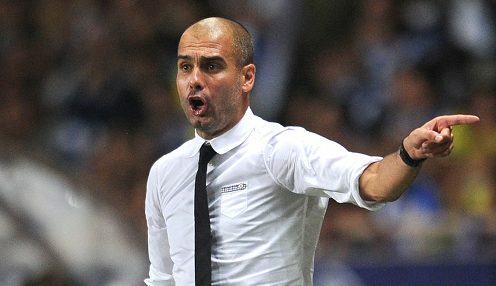 The 42-year-old added: "Bayern won everything playing extraordinary football last season. This season we have done well, mostly in the second halves of games. I know the team very well. The players always try to do exactly what I want them to do. If they don't do what I want, it's my fault. We stand together and the players want to play my type of football." Guardiola is hopeful that Bastian Schweinsteiger will recover from an ankle injury but he is without Thiago Alcantara (ankle), Javi Martinez (groin) and Mario Gotze (ankle). Bayern Munich can be backed at 1.18 in the 90 minutes market and the draw is on offer at 8.50, while victory for Leonid Slutsky's visitors is priced 2.25. Everton play host to Chelsea at Goodison Park still looking for their first win in the Premier League, live on Saturday Night Football. Everton boss Roberto Martinez is still looking to break his Premier League duck as he welcomes Jose Mourinho's Chelsea to Goodison Park. Betting tip :: Bolton - Leeds Utd | cippo | betting tips on football, tennis, hockey & more. Betting tip :: Valenciennes - St Etienne | bodgy | betting tips on football, tennis, hockey & more. Betting tip :: Torino - AC Milan | horace | betting tips on football, tennis, hockey & more. Betting tip :: Manchester United - Crystal Palace | juice | betting tips on football, tennis, hockey & more. Catalan club FC Barcelona, of Spain introduced three months ago, an application for registration at Ecuadorian Institute of Intellectual Property (IEPI), trying to become the exclusive owner of the name Barcelona in Ecuador, country in which about 88 years, there is a club with the same colors, same name and emblem almost identical. 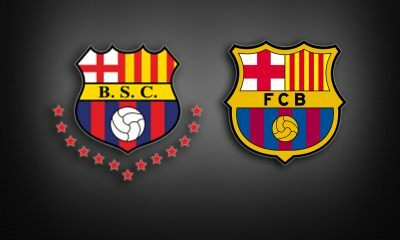 A month after the request Catalan club in Guayaquil, SC Barcelona (Barcelona Sporting Club) filed a complaint seeking to avoid the Spanish band to register their brand. Antonio Noboa, Ecuador club president, says he is surprised by the Barcelona European decision since between the two groups there is a cordial relationship. "In any case, we defend hegemony and history. We will not be affected. In Ecuador, Spanish must understand that we are Barcelona, and they are European Barcelona or Barca, "said Noboa. In 1952, the Catalans, in a gesture of "brotherhood" even donated a row of blaugrana equipment to the team in Ecuador. Globally, there is no place for two Barcelona. The Director IEPI says there is no a deadline to solve this case and that, at present, are analyzed the arguments and documents submitted by both clubs. Barcelona Sporting Club was established 88 years ago in 1925, while the Catalan team was established in 1899, 26 years earlier. Along the time, the two clubs played three friendly matches in 1962 (1-1) 1982 (1-0 for Catalans) and in 1988 (2-1 for Ecuador). If Europeans will win, the club of South America will be forced to change their name and emblem. Ozil wins duel with Bale! 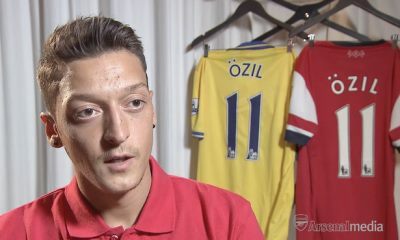 Mesut Ozil (24) was the protagonist of one of the most surprising transfers of the summer. German midfielder was sold by Real Madrid in the very last day of the mercato, and Arsenal paid in exchange for not less than 50 million. Ozil is ready to debut to his new team, writes Daily Mirror, which wrote that Germany has great chances to be titular on Saturday in the game that Arsenal will play away, with Sunderland. The midfielder brought from Real will take advantage of Thomas Rosicky's accident. The Czech returned hitfrom the national team and has little chance to play this weekend. Neither the presence of Theo Walcott in the first 11 is not 100% sure, after the accident National Team even though the coach Roy Hodgson assured that the player will be able at game time. If behind Giroud will evolve, most likely, Walcott, Ozil and Cazorla, Wenger still has question marks over the two defensive midfielders. Ramsey seems nailed to, and for other left post will fight Wilshere and Flamini. It's only been nine days from the transfers that have set on fire all football fans - transition of Bale from Tottenham at Real Madrid and the departure of Mesut Ozil from Bernabeu at Arsenal. It seems that the moving of the German in the capital of England was received with enthusiasm from Gunners fans worldwide. According to a study published by media worldwide have been sold five times as many Arsenal's shirts with Ozil name than Bale from Real Madrid. Director General of the online store, Simon Pretswell revealed that requests for Ozil's shirt approaching from those contemplated in the early days of the completion of the transfer of Neymar at Barcelona, but Brazilian exceeded the German. "Bale's talent as a footballer is indisputable. However, failed at to become a player to attract buyers. I thought that when upgrading to Real will change this, but we have to wait until we get to some satisfying numbers for everyone. "said Pretswell. LEONIDAS DA SILVA, "black diamond"
The new logo of Google is represented as a drawing. Image of Leonidas da Silva, who executes his famous "scissor" is superimposed on five letters in this logo. In doodle for Leonidas da Silva, the letters A, O, G, L and E are replaced by the figure of Leonidas da Silva while running scissors. Brazilian footballer is a football legend, his name binding to one of the most spectacular executions. 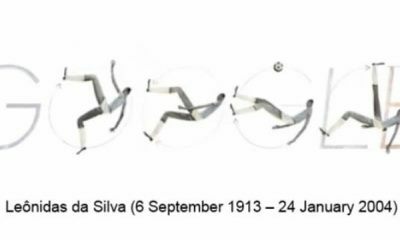 Dynamic, Mobile and inventive Leonidas Silva has remained in the memory of Brazilian football as a "rubber man" or "black diamond". Leonidas da Silva (September 6th 1913 to January 24th 2004) was a football player and sports known commentator Brazilian. Considered one of the most important football players in the first half of the 20th century, Leonidas da Silva is known as the inventor of "the scissors" scored the first time on April 24, 1932. He is the one who scored a goal during a World Cup using this technique. In fact, he played for his country at the two World Cups and was named top scorer in World Cup 1938. He played for Brazil national team 19 times and scored 21 goals. Leonidas started playing for the team in São Paulo in 1942 and remained at the club until his retirement from football career in 1950. After his retirement from sport, was coach and radio sports commentator. Leonidas died in 2004 in São Paulo. He suffered from Alzheimer's disease. Google changes its logo occasionally to celebrate a particular major event or a personality that changed the world. 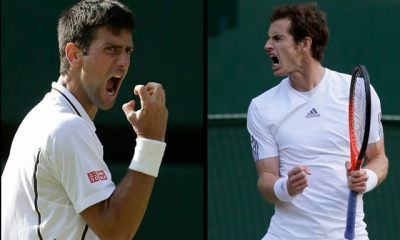 Novak Djokovic and Andy Murray continues to fight for the trophy at the last Grand Slam tournament of the year, the U.S. Open. The two tennis players have access to the quarterfinals after victories in eight in front of Marcel Granollers, respectively Denis Istomin. In another match, Mikhail Youzhny did show Lleyton Hewitt, the Russian managed to impose five sets and qualify to the next round. In women's competition, American Serena Williams goes in the semifinals after winning two sets to zero against Carla Suarez Navarro. World leader, Novak Djokovic had an easy match in company Spaniard Marcel Granollers. Serb won in three sets, score 6-3, 6-0, 6-0. In the quarterfinals, Djokovic will face Russian Mikhail Youzhny, who needed four hours and two minutes to defeat Lleyton Hewitt. After the Australian led 2-1 in sets and 5-2 in the fourth, Youzhny returned spectacular and obtained in extremis the qualification in the quarterfinals at the U.S. Open, score 6-3, 3-6, 6 - 7, 6-4, 7-5. Champion en-titre at the U.S. Open, Andy Murray is closer to conquer the second consecutive trophy in this tournament. Murray lost a set in front of the tennis player from Uzbekistan, Denis Istomin, the tie-break, but he won the next three, score 6-1, 6-4, 6-4. In the next round, the Briton will play against Stanislas Wawrinka. On the woman panel, Serena Williams looks unstoppable. Leader in the WTA ranking, American shattered it in just 54 minutes on Carla Suarez Navarro from Spain. Williams did not give any game to the Iberian and has imposed absolutely, score 6-0, 6-0. In the semifinals, Williams will play against China's Li Na. She has imposed in the game with Ekaterina Makarova in three sets 6-4, 6-7, 6-2. Today is the last day transfers in Europe and big clubs who have not hardened enough but lots are ready to throw money to become stronger. After his usual Wenger on Arsenal's fans last year with a series of disappointing acquisitions campaign, the Gunners have finally managed a great transfer. Officials from the Emirates have achieved in the last hours mercato, transfer of Mesut Ozil from Real Madrid. For German midfielder, Arsenal paid a record - 50 million - the second most expensive transfer in the history of the Premier League. Immediately after the parties have agreed on the move, 24 year old footballer announced on his Facebook page transfer and wanted to convey an emotional message to fans group "blanco". "Things have unfolded differently from what I anticipated in two to three days ago. I want to thank everyone in Madrid for three years really awesome. Time spent here was very special and unique. Even I'm leaving, I remain a big fan and I hope to win as many trophies in the future. now looking forward to get my new club: go Gunners! " Mesut Ozil wrote on his official facebook page. From the information presented in the English press, Ozil Arsenal will wear the number 11 shirt containing his name already sent for production since yesterday when moving not materialized yet. After lengthy negotiations, Tottenham and Real Madrid have reached an agreement for the transfer of Gareth Bale who becomes the most expensive player in football history. The uncertainty surrounding the transfer of Gareth Bale to Real Madrid has ended. Spanish officials have negotiated extensively with English club, and finally reached an agreement on the amount of transfer, which is the largest in the history of football. Never any team did not pay 100 million euros on a player as far as the actual payments to be in his court on Bale for the next six years, according to Real Madrid TV. According to the press Iberian football transfer amount would actually be 92 million, but the British press writes that the move was made for $ 100 million. Welsh, who will receive a 7 million salary Stagione, will be presented at Madrid, Monday afternoon, on the stadium "Santiago Bernabeu". By being formalized this move, Cristiano Ronaldo holds the record for the most expensive transfer in 2009 actually paid him his Manchester United record amount at the time of 94 million. Before parting with colleagues at Tottenham, Bale wrote a moving letter, which was taken over by the British press. "I have had six very happy years at Tottenham but it's the right time to say goodbye. We've had some special times together and I've loved every minute of it. I am not sure there is ever a good time to leave a club where I felt settled and was playing the best football of my career to date. I know many players talk of their desire to join the club of their boyhood dreams, but I can honestly say, this is my dream come true. Tottenham will always be in my heart and I'm sure this season will be a successful one for them. I am now looking forward to the next exciting chapter in my life, playing football for Real Madrid. I am well aware I would not be at the level I am today were it not for firstly Southampton and then Spurs standing by me during some of the tougher times and affording me the environment and support they have. "I would like to thank everyone at the club; the chairman, board, staff, coaches and players, and, most of all, the fantastic fans who I hope will understand this amazing career opportunity."